It is always something very special when another blogger nominates you for an award. 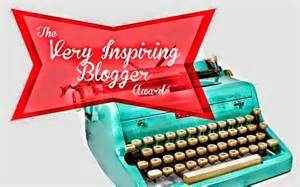 So it really meant a lot to me when Sami Ann from the blog Flowers and Wanderlust nominated me for my 3rd different award in 4 months, “The Very Inspiring Blogger Award”. One of the things that makes Sami Ann’s blog very unique is her bucket list. Please do take the opportunity to check it out. It is definitely the most comprehensive bucket lists I have ever come across. There are 175 items listed, with 85 currently stroked off as complete. It is inspiring to read your posts Sami Ann as you stroke these items off your list. It is an honour to be nominated by you for this award. Thank you, I do accept. Part of accepting this award, is answering the following 7 questions posted from Sami Ann. An interesting question to ask, because as much as I enjoy reading, the last book I have actually read was 4 years ago. It was in college, and part of my course, and I had to do a book report on it. The book was “Still Alice” by Lisa Genova. You could count the number of books I have read on one hand since high school, but this is a fave. It is about a professional woman in her fifties who gets early onset Alzheimer’s. At that time I was volunteering, working with Alzheimer and dementia patients, some who were in their late 40’s and 50’s, and it really struck a chord. To my knowledge there is movie based on the book coming out very soon, based on the book “Still Alice”. I do read every day, but it always newspapers, magazines, study books, reference books, travel books and blogs. Just have a hard time finishing a regular fiction book. THE favourite book for me is the Bible. With the book Still Alice, I read the book, did my report, and have not referred to it again. The Bible, I refer to every day. It’s words provide strength when I am weary, comfort when I am hurting, encouragement for today, and hope for the future. 2. What is your favourite mythical creature? This is a tough one, because to be honest, I really do not have a favourite. In the local area where I live, there is a legendary local creature that lives that lives in Kempenfelt bay of lake Simcoe called Kempenfelt Kelly which is intriguing and cool. 3. Who has had the biggest impact on your life and why? 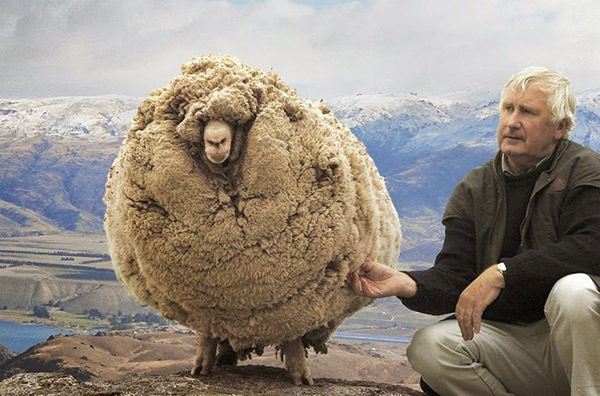 This would be my wife Lynne. After being married for 26 years (and dating 3 years prior to that) she knows me very well. Her support and encouragement to me is so invaluable with my struggles with mental health issues. She is my confident and best friend. 4. If you decide what your favourite spirit animal is, what would it be? Another tough one, because I really do not have a spirit animal as a favourite. All animals are special, but I do have a deep fondness for the bald eagle. Having spent 2 extended summers in coastal Alaska, I loved how this magnificent bird ruled the skis. Just watching this majestic bird effortlessly soaring on the wind currents always left me in great awe. 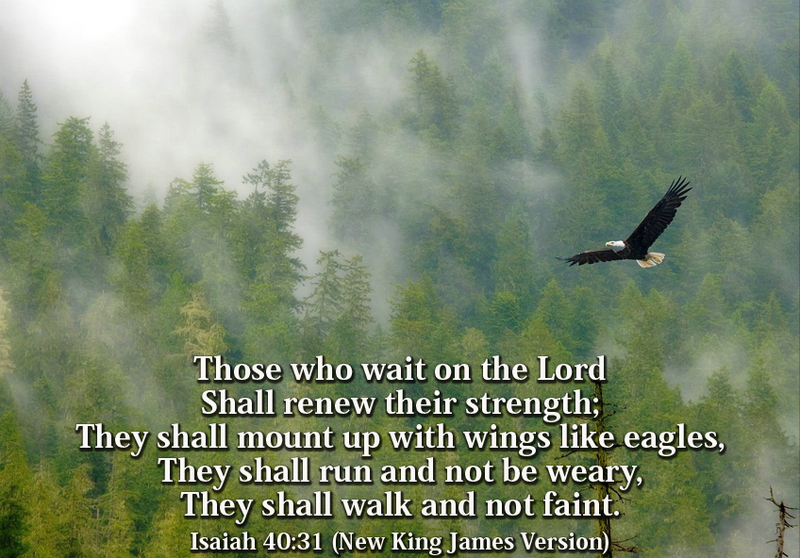 My favourite Bible verse, from Isaiah 40:31 is about the eagle. 5. What culture interests you most? My answer would be the “Nomads of India”. With my wife having been born in India, and lived the 1st 9 years of her life there, I have a fascination with India, and would love to visit one day. Those with the simplest of all lifestyles are India’s Nomads, who have kept the same traditions and lifestyles for what could be thousands of years. But as the sub-title of this interesting National Geographic article mentions, “India’s 80 million wanderers are torn—clinging to centuries-old traditions while the modern world strips their identities away”. 6. What is the #1 thing to do on your bucket list? I do have a bucket list on my blog, and so far there are only 4 items listed (one has been completed), however there are many more to be added that are swimming around in my head. But compared to Sami Ann’s list, even after mine are all added, they will still be a drop in the bucket! 🙂 The big thing is to find time to add them, but I will eventually. The #1 item, is my most ambitious one, and that is to cycle across Canada. 2. The Drawing Page (25 followers) Subtitled, “Thoughts On the Process of Drawing”, this blog is very informative and helps my limited understanding. I am more of a “doodler”, I can not sketch or draw. However, my oldest daughter does artwork (totally gets it from her mother), and her artwork has many similarities to what Adriana features on this blog. 3. Bucket List Coach (49 followers) Written by a travel professional, on this blog, you will find a lot of well written, timely articles for the traveller or arm chair traveller. This blog only got launched in the end of September, but already is very comprehensive. It is very obvious that Cindy, the author of this blog is taking it VERY seriously. 4. Shelby All Over (13 followers) Shelby is a young, Christian college student, and in this delightful blog, it shows that she has a genuine love for God. I would love to see you check out this blog and give it a well deserved boost. 5. Writrs. Gallore (50 followers) As an advocate for inner beauty, S. Graham-White is a gifted writer whose posts often refer to her own personal experiences in life. As I reflect on what is shared, I am sometimes comforted, sometimes strengthened, and oftentimes encouraged. 2 Name 2 things you are most passionate about in life? 3 What is your favourite season, and why? 4 If you had the opportunity to meet 1 celebrity in your lifetime, who would it be? 5 What genre of music do you prefer, and list 2 of your favourite musicians? 6 What is your favourite memory? 7 If you had to eat leftovers of the same meal for a week, and could choose, what would it be? 8 Do you have your own “motto” in life? What is it, if you do? 9 When you head to a theme park, where do you go to first? 10 What is your all time favourite flavour of ice cream? 11 What is the 1 blog post you have written, that you are most proud of? Answer the eleven questions provided by the nominator and make eleven new ones. Thank you for taking the time to read another long post. Wishing you all a really wonderful Christmas. Aww, thank you CC. You have such a very kind heart. Thanks Trablogger. So admire the nomads of India for their simplistic lifestyles, and am saddened how the “western culture” is eroding that. Are they respected or shunned or stigmatized in India? Just curious. The western culture can be very seductive, but I don’t think it is any better than any other culture, because oftentimes it seems the other cultures are much happier. Thanks so much Kelli for stopping by, and checking out the other blogs. Glad you are slowly healing my friend, please take care of yourself. Thank you for the sweet blurb about my blog! That made me smile! You very much deserve this award and the answer you had for your “most inspiring person”, your wife of 26 years, made me smile, also! Thank you for answering and sharing this lovely post! Same to you! I am glad you enjoyed it. You deserved it! Carl, congratulations on your “The Very Inspiring Blogger Award”, most well deserved! This is a wonderful post, and quite interesting to learn more about you. Wishing you and your family a wonderful Holiday Season, and a very Happy New Year! Thank you so much Pepperanne. Your comments are always so refreshing and encouraging. Thank you my friend. An award well deserved! Happy Holidays! Thank you so much. Have really enjoyed your 123 day challenge. Hoping the blog will continue when the challenge is completed. That is interesting that he is a highly respected person. That makes the sightings more plausible I guess.